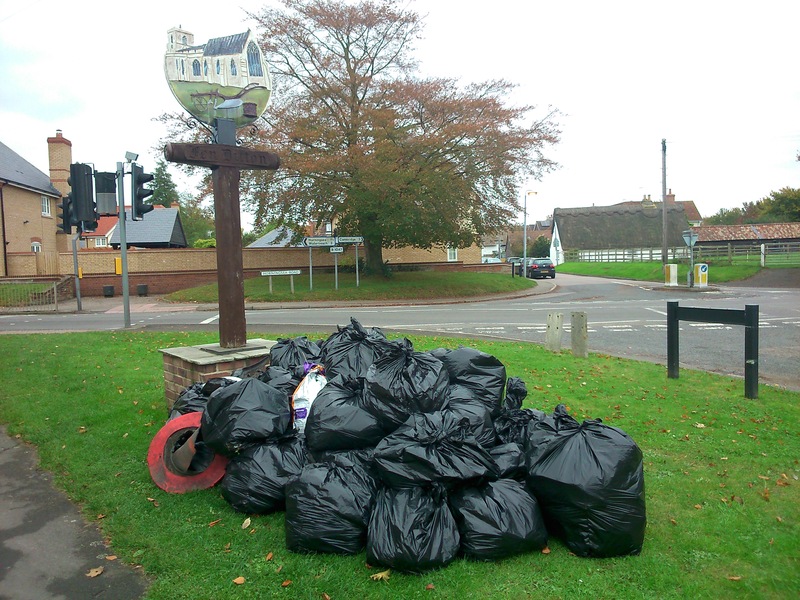 News » Impressive haul of rubbish from the Autumn Village Tidy-Up! Teams picked from the eastern end of High Ditch Road to the end of Green End, and from the southern end of Ditton Lane to the A14 access on Horningsea Road, including Musgrave Way, Filly Lane and the eastern footpath to the Recreation Ground. Picking was also done on the Recreation Ground and along Wadloes footpath. The Parish Council would like to say a very big thank you to all the volunteers for their hard work, to Laurie and Mark Woolfenden for their organisation and wonderful refreshments, to Linda Allen for use of her garage and kitchen, and to Horningsea Parish Council for the loan of litter picking equipment. We are also hugely grateful to the many volunteers who pick litter from around the village in between the official spring and autumn tidy-ups.